Following a soft rollout last month in the Netherlands, Apple has now launched a new Support app in the U.S. App Store for both iPhone and iPad. 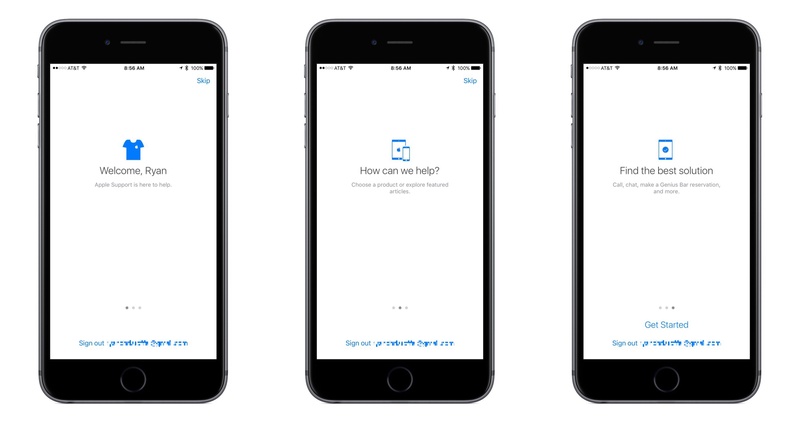 This new app is the latest sign of Apple's efforts to provide easy and convenient ways for its users to get the help they need with support issues. It follows an expanded presence on Twitter in the last year, where the company started with an Apple Music Help account , then later replaced it with a more wide-reaching Apple Support account . 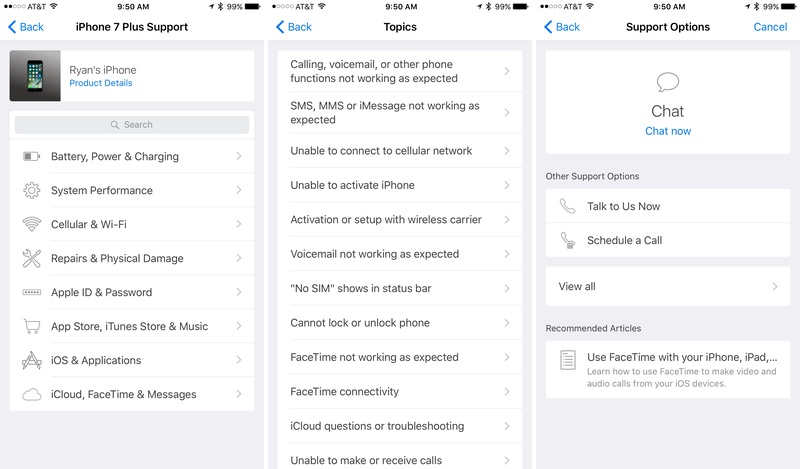 Support serves many of the same functions as Apple's Support website , but within the simple interface of an app. Upon opening Support for the first time you'll be asked to log in with your Apple ID, then walked through a brief description of how to use the app. The main landing page for Support contains a list of devices that are linked with your Apple ID. 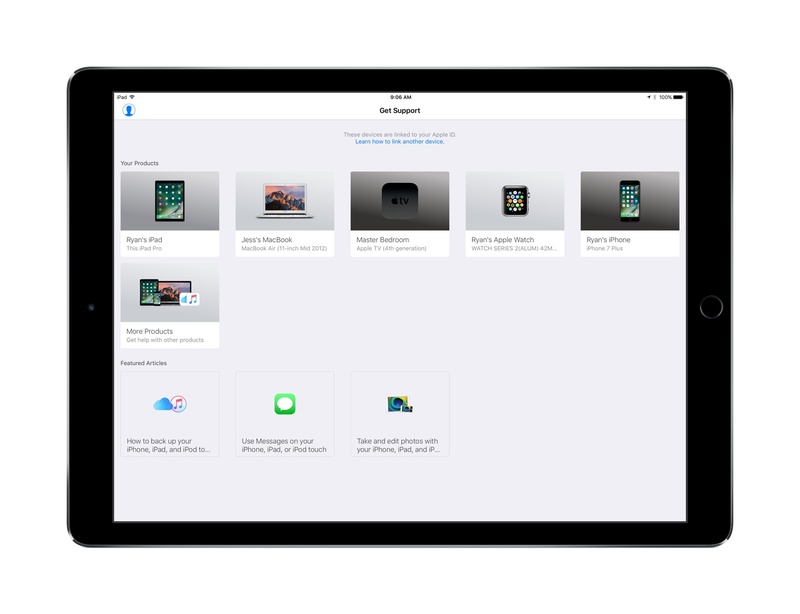 If you need to remove some devices from this list, tap the person icon in the top-left corner and tap "Select products to display." From here you can choose to hide certain devices, or you can follow the instructions given for removing a device from your Apple ID altogether. From the main navigation page, tapping on one of your listed devices provides a variety of categories meant to narrow down what type of issue you're having with that device. Once you've selected the appropriate category, in most cases you're then presented with a list of more detailed topics to navigate.1 Finally, selecting the appropriate topic presents you with a list of support options. These include direct communication with Apple through chat, phone call, or a scheduled call, as well as a list of recommended articles meant to pertain to the topic at hand. In some cases, depending on the issue, you may also be presented with the recommendation to bring your device in for repair, accompanied by a list of local Apple Stores and instructions on how to setup an appointment. A couple other small features of the app worth mentioning. First, on the iPad it supports Split View, so you can use it alongside another app. 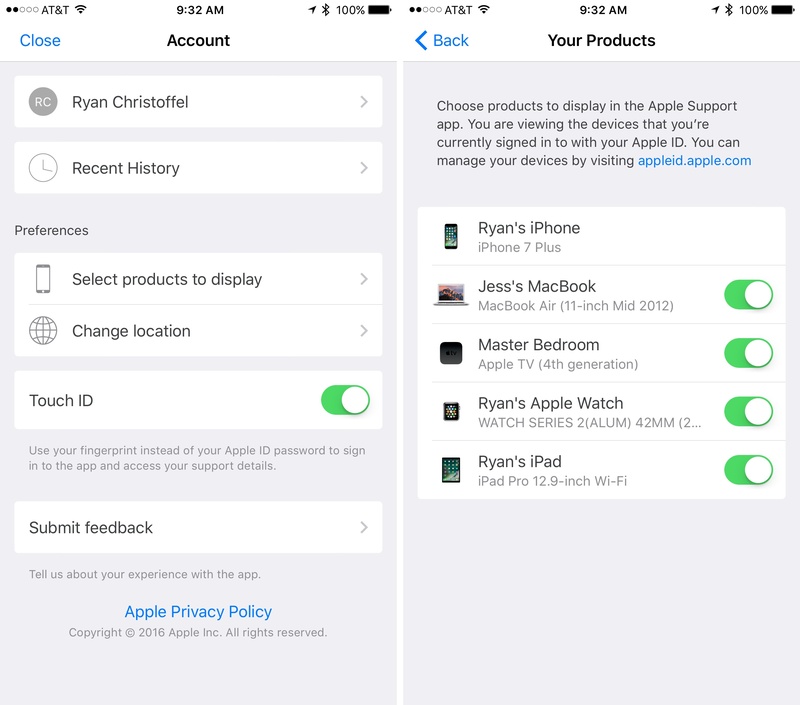 Second, in the app's settings screen you can view a recent history of support issues associated with your Apple ID. The whole experience of getting help for an issue is well streamlined in the Support app. When a device is giving you trouble, the last thing you want to do is navigate a frustrating support process, and Apple seems to have kept that in mind when designing this app. Each step in the process is clear. And if you've ever had a support experience with a company that felt like aimlessly running around in circles, you'll appreciate the value of a clear, simple, confusion-free experience. Support is available from the App Store as a free download for iPhone and iPad .